I use a knot called the San Diego Jam. Easy to tie and the knot strength is excellent. There are others that work as well. Gonna give 10 lb PP another shot on my lighter setups. 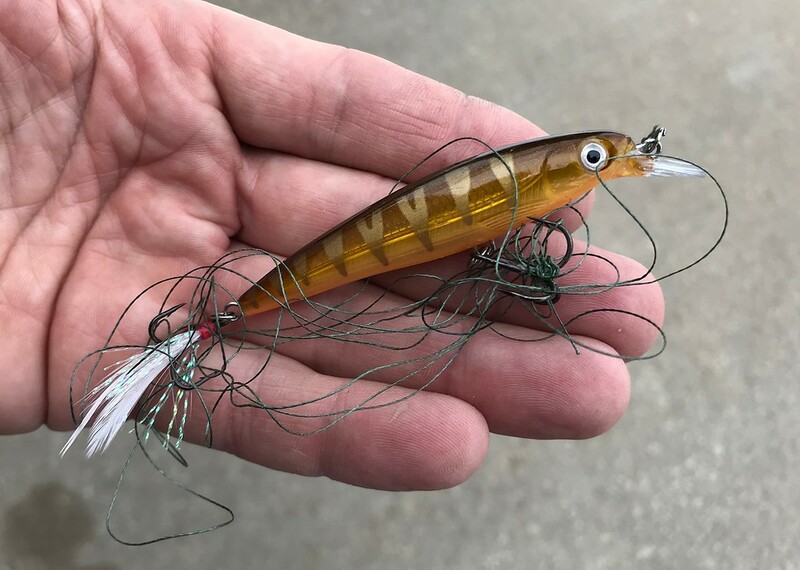 Getting really sick of losing lures to snags. When things go wrong, they go really wrong. This just from pulling it from an overhanging tree branch and the ensuing slack. Took one look and just cut it off and put on a new one. Gotta do it though as I'm fed up with losing brand new lures to snags. Yeahhh.....those rat's nests will happen. but I bet the money you save on lures will convince you if you keep at it. What the heck John! Ha! Haha... got a ten incher on that. Was gonna snap a photo but he fell back into the water as I was grabbing my phone. Oh yeah Ron... nothing to do with practice... I just can't see anymore and didn't see the branches hanging low over the water.